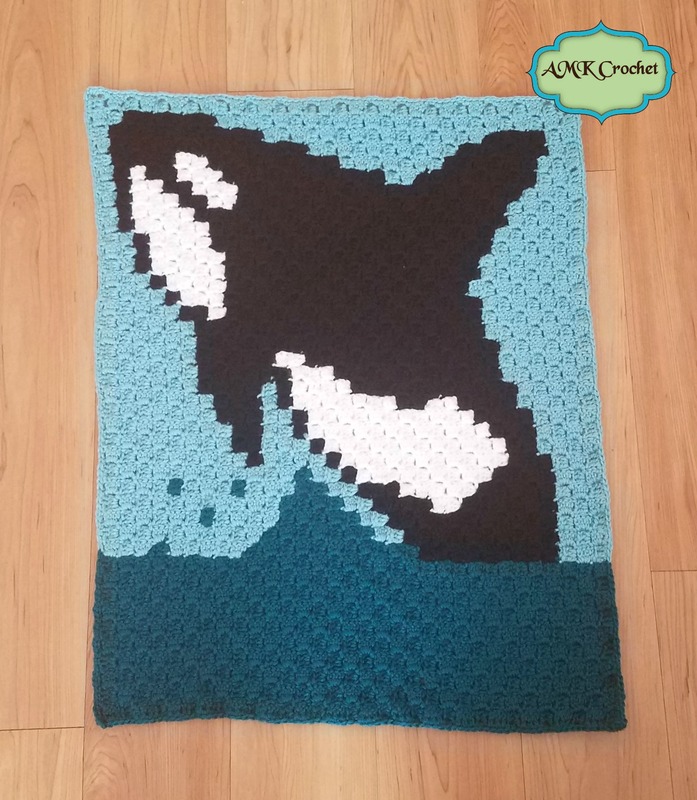 I have been seeing more and more C2C (corner to corner) crochet graphgans and I decided it was finally time to make one of my own! I have never been a fan of creating blankets and just never seem to have the patience for them, so this type of blanket seemed more up to speed for me! Also, with my little twins on the way, I have extra motivation to create some baby blankets! I honestly wasn’t sure how, so I started looking up some videos, created my own graph, and I am glad that I did! I am sure there is an easy online way to create your own graph/chart to follow, but I decide to start with just drawling my own. Plus, I didn’t want to accidentally violate somebody’s copyright, by taking their picture. To start, I found this video from Repeat Crafter Me, on the basics of creating a C2C graphgan. She gives you pretty much all of the information you need to know. Even though she talks about when to increase and decrease, based off a rectangle, I wasn’t quite understanding. So, I found this video from The Crochet Crowd, which helped me to see what she was talking about. I grabbed some graph paper and through a bit of trial and error, created a graph to follow. The lines that I drew were to help me follow along diagonally and see the correct color. My darker blue pen wasn’t working so well, which is why it is only partially filled out. I have attached the graph as a PDF file below. I recommend printing it out in color and think checking off each box as you go. I would just add a second \, which would cause an X shape over the boxes I completed. The videos give you the basics of creating the C2C graphgan and following along with the graph, but there are also a lot of color changes, which Repeat Crafter Me has another video on here. Size: Mine ended up in a baby blanket size – approx 29″ long and 21.5″ wide. Gauge: Gauge is not essential, but if you would like the blanket to turn out the same size as mine, I recommend matching mine below. You will need to create a square to measure. With worsted weight yarn and ‘H’ hook: 6 squares by 6 squares is equal to 4″ X 4″ piece. I have to admit, it is really weird for me to publish a pattern that is not typed up row/round for row/round. I have never published a graph or chart before, so hopefully this is not too difficult to follow! Here is some notes that I took, as I went, that I thought might be helpful. Starting at the bottom right hand corner with ‘H’ hook, or hook used to achieve gauge, and Red Heart Soft in Teal. Row 1-10: Following instructions from videos above. First picture below shows what your blanket should look like as this point. Row 11: Starting with a color change, to seafoam. All I did different to start with a new color, would be to yarn over with new color (2nd picture below), and continue to chain as normal (3rd picture below). It is completely up to you how to keep your color organized. I carried my yarn over as much as I could, but there was still a ton of ends to weave in! I started with a full ball of each color and then as needed, separated into smaller balls of yarn. For example, the seafoam blue, you will need a separate ball for each side of the orca, so it might be easier to start with separate balls to pull from. You may also notice that on the chart, I had two little squares off to the right of the orca, for more ‘water’ splashing up. As I was crocheting, I decided to omit them, which is of course completely up to you! Border: Since I has already been following Repeat Crafter Me’s directions, I decided to for the border as well. I just did a very simple row of sc around the entire blanket, starting with seafoam, switching to teal at the bottom,and back to seafoam, so it would match the colors of the blanket. Once I figure out the gender of my little ones, I will come back and add a more real border to my blanket, so be on the look out for that in December! Here is the basic instructions for a border. Just scroll down a bit and you will see how she added a border to her lamb blanket. I do love how it turned out and am excited to create a little matching orca plush toy! Don’t worry, it will be a usual, type up round for round pattern. 🙂 Also, since I am having twins I will be creating another C2C graphgan, for my second baby. I am thinking it will be a humpback whale, but I am still figuring that out! If you love these free patterns, please consider donating or using affiliate links, so that AMK Crochet can keep creating. Thank you! The links, to videos, are not endorsed at all. I just found them useful. If you love the look of my Furls hook, consider buying one here. You will not pay any extra, it just helps me with commission! Want to know when I publish another free pattern? Enter your e-mail into the subscribe box at the top right hand column of the page or follow me on Facebook. 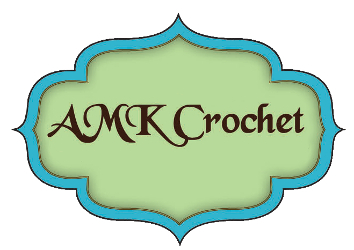 Feel free to share you finished item photos on Facebook or tag me on Instragram (@amkcrochet). Please do not copy, resell, rewrite or redistribute this pattern or any of the pictures as your own or in any other form. This pattern and all photos from AMK Crochet are copyrighted and cannot be used without written consent. You are responsible for your finished items. You may sell finished items made with this pattern, but must include a link back to my store, www.AMKCrochet.com. Feel free to share the link to this post. I haven’t yet! I hope to in the future though! Just finished the blanket and getting ready to do the border…and going to do it again later but next time going to use the blanket yarn not sure when that will be but sometime in the near future. Have 2 already planned that I want to start next so maybe it will be my 3 project . If i can will send you a picture of the one i just finished and the next one i do of the same pattern. Thanks for the pattern. I would love to see how it turns out!